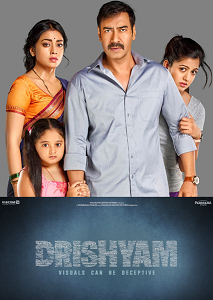 Carbon Copy song lyrics were penned by Gulzaar for the film Drishyam (2015) . This film is directed by Nishikant Kamat. "Carbon Copy" song was sung by Ash King in the composition of Vishal Bhardwaj. Ajay Devagan, Shriya Saran & Tabu played in major roles. The producers of Drishyam picture was Kumar Mangat Pathak, Abhishek Pathak & Ajit Andhare. This picture was released on 31st July, 2015. सांस तो आने दे न !